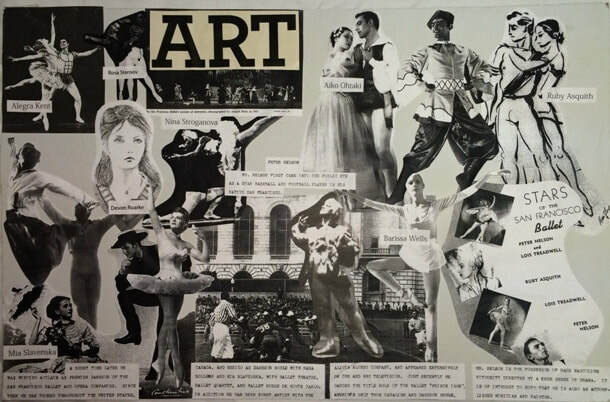 Collection of costumes, photography, journals, and paintings and sketches from the personal collection of ballet dancer and teacher Peter Nelson. Peter Nelson's "Prince Igor" costume, created by Barbara Karinska. 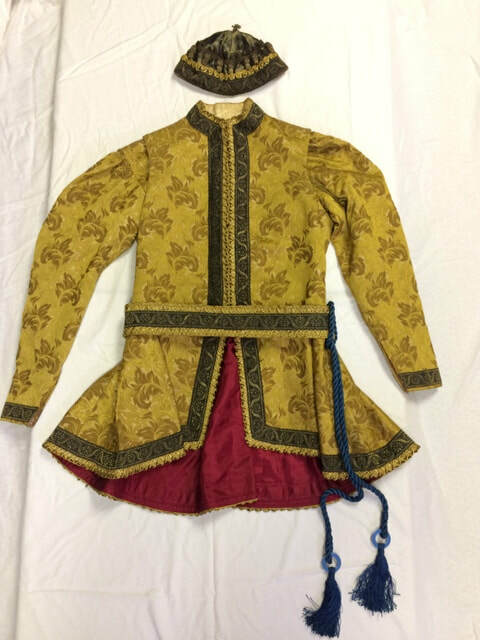 ﻿﻿﻿Original ballet tunic, shirt, hat, and sash that were a part of Peter Nelson's "Prince Igor" costume. Costume was designed and created by legendary costumer Barbara Karinska. 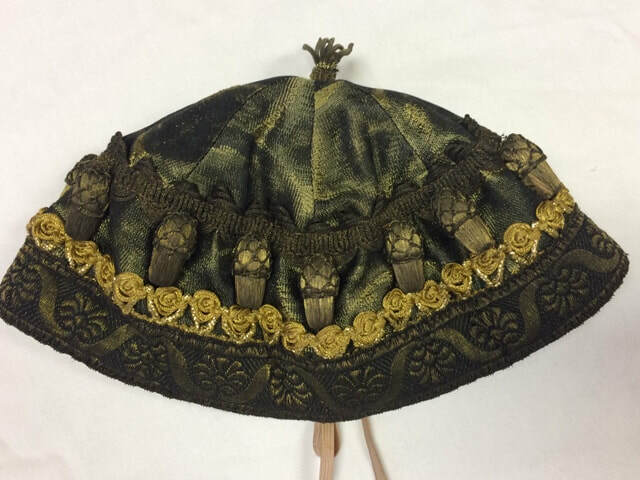 Hat from Peter Nelson's "Prince Igor" costume, created by Barbara Karinska. ​Oil painting by Peter Nelson of himself in costume for the "Prince Igor" role. 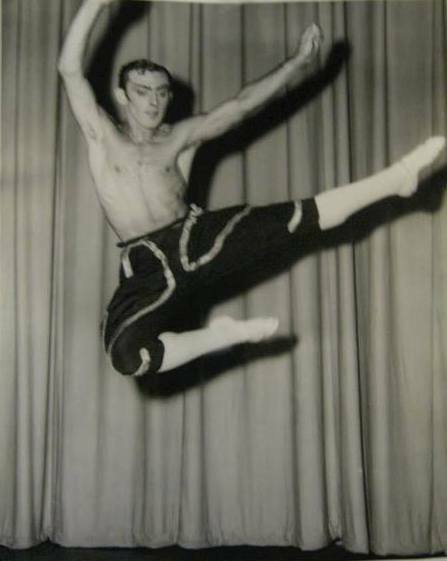 ​Signed "Frank Peter Nelson 1967"
Variety of sketches of dancers drawn by Peter Nelson. 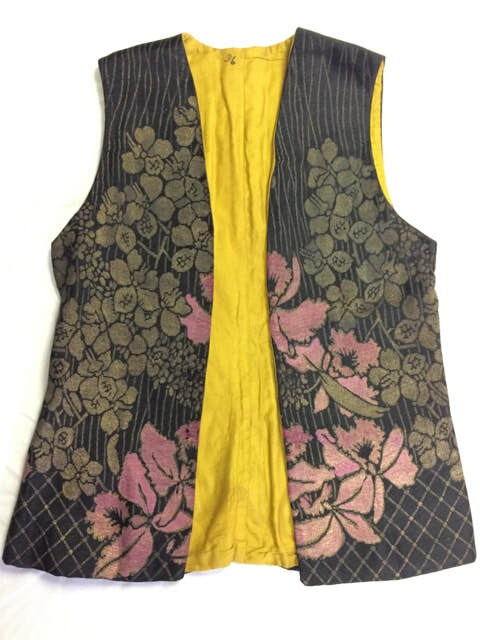 Silk vest from a costume worn by Peter Nelson. A photograph of him wearing it is on the Right. ​Silk pants from a costume worn by Peter Nelson. A photograph of him wearing it is on the Right.